Huawei today unveiled the P9 series at a press event in London. This includes two smartphones Huawei P9 and Huawei P9 Plus. 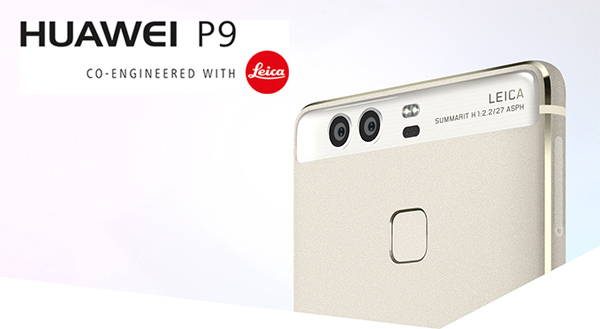 The devices, which can be seen already from the name, are the direct successor of the Huawei P8 series. A highlight of Huawei P9, is the camera; Huawei works with Leica together and relies on a combination of two cameras on the back panel. The Huawei P9 comes with a 5.2 inch full HD display (1920 x 1080 pixels) and has pre-installed operating system Android 6 marshmallow together EMUI interface. The internal memory is 32 gigabytes in size, an expansion via MicroSD card is possible. The RAM is 3GB and the processor is a HiSilicon Kirin 955 octa-core for use (in the Huawei Mate 8 , the predecessor was still Kirin 950 installed). The LTE modem supports 18 different frequency ranges and is therefore also suitable for international use. WLAN is supported on 2.4 Ghz and 5 GHz. The Huawei P9 has a metal body which is to be very thin with 6.95 millimeters. The battery is 3,000 mAh strong and not changeable, charging via a USB Type C port. 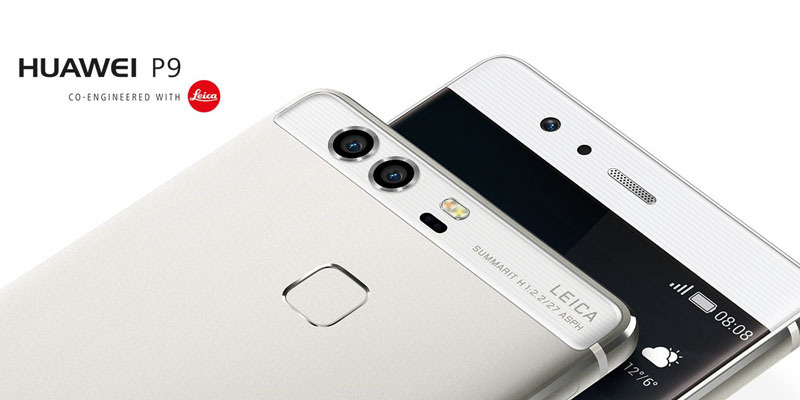 On the back of Huawei P9, you can see the two camera lenses immediately and the Leica logo. The camera has a resolution of 12 megapixels and a f2.2 aperture. Under the camera, the fingerprint sensor is visible. The Huawei P9 comes available in mid-April 2016 on the market, the retail price varies depends on the specifications without contract. The golden color version is initially exclusively at Vodafone available on the open market and for other providers the colors Titanium Grey and Mystic Silver offered. 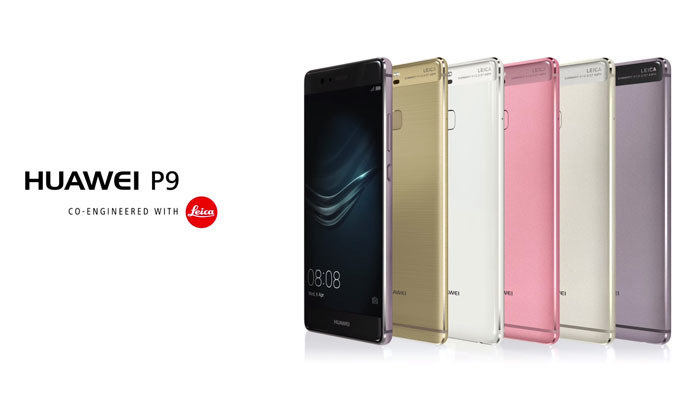 The Huawei P9 Plus is not particularly different from the normal strong P9, it will be available in the middle of May on the market and the price is of course higher than P9 without a contract. It is with 166 grams 20 grams heavier than the normal P9, which is probably due mainly to the change in size: the P9 Plus has a 5.5 inch full HD AMOLED display, which is also sensitive to pressure. The internal memory is 64GB in size and memory 4GB, the processor is identical to the normal P9. The Huawei P9 Plus battery has a capacity of 3,400 mAh and there are stereo speakers for improved sound. The Huawei P9 Plus will be initially available only in the color Quartz Grey. 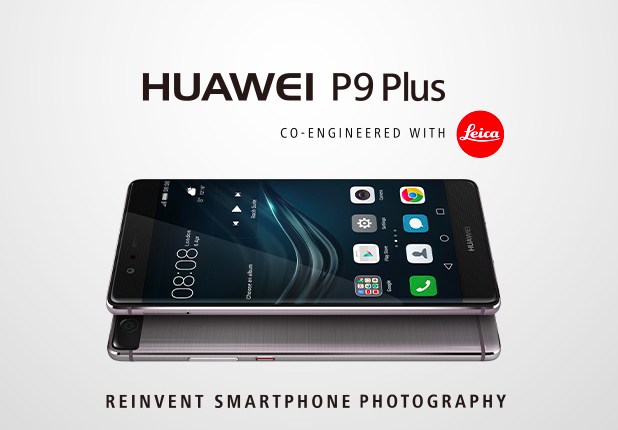 As the first high end smartphone from huawei, Huawei P9 and P9 Plus plan to compete with iPhone and Samsung S7 series. The market will tell whether this challenge will succeed.